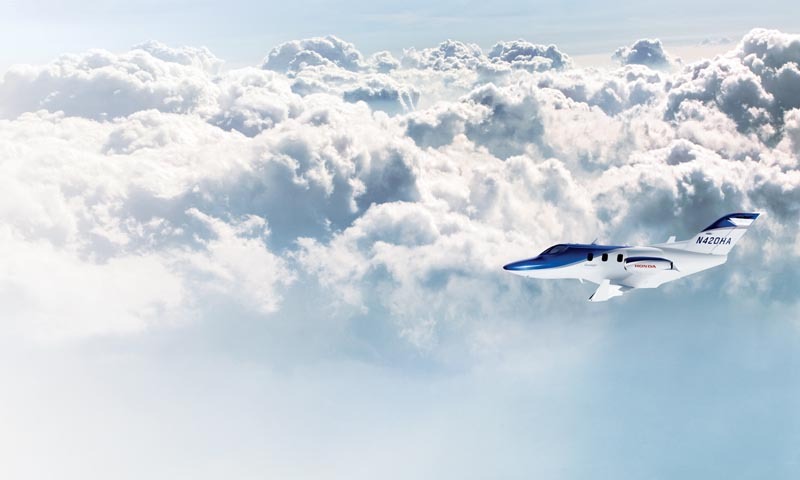 The HondaJet: First Motorcycles, Then Cars, and Now Jets? Honda entered the American market on the strength of its lightweight motorcycles, an invasion that almost heralded doom for Harley Davidson (and did sound the eventual death knell for most British manufacturers like BSA, Norton and Triumph). Then in the 1960s they introduced their first small cars into the Land of the Muscle Car and 2 foot tail fins, and Cadillac dealers nearly split their sides laughing…until the oil crisis of 1973, when suddenly Honda’s car sales skyrocketed, and now sell 2 out of the top 5 cars sold in the USA (Civic and Accord). 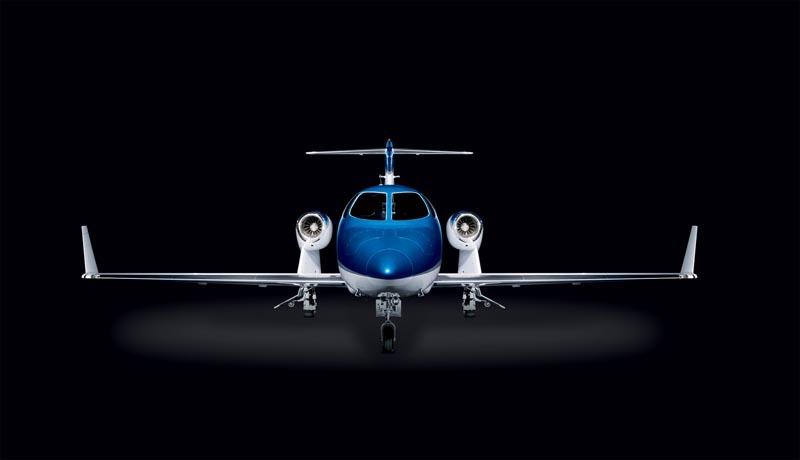 So it is that that much of a shock, then, that Honda’s unveiled the HA-420 HondaJet — its first iteration of a private jet — at the EAA AirVenture Oshkosh show this weekend in Wisconsin ? Honda promises that the aircraft will begin delivery in the third quarter of 2012 with a price tag of $4.5 million (€3.46 million). It’s the first venture into aviation for Honda, but the innovative company integrated many technological advances in its HondaJet design — such as Over-The-Wing (OTW) engine mounts which significantly reduce drag (improving fuel efficiency), cut noise pollution on the ground and create additional space in the aircraft cabin. 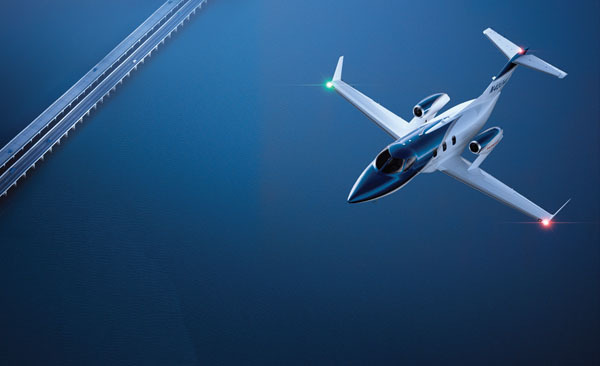 The HondaJet also features an all-composite fuselage, both lighter and stronger than traditional alloys used on fuselages. 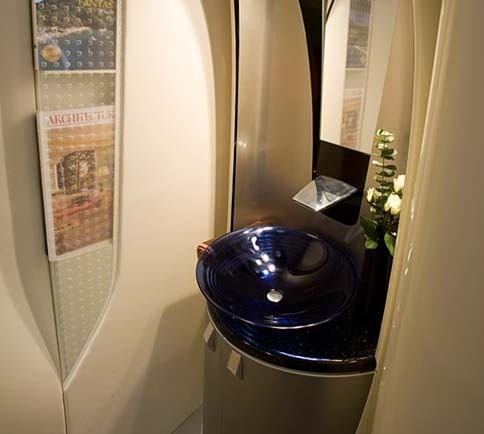 Of course with a nearly $5 million pricetag you know luxury is paramount, so the HondaJet’s interior comes wrapped with fine leather interior, plenty of leg room and a handsome bathroom bedecked in chrome and blue. I wonder if Gulfstream execs are currently laughing? Hey there – great blog, just searching around some web sites, appears to be a really good platform you are utilizing. I’m currently utilizing WordPress for a few of my sites but searching to change 1 of them over to a platform similar to yours as a sample run. I got here short whereas in the past throughout your website and have been reading along. I thought I would go away my initial comment. Maintain writing, cause your articles are wonderful! Doesn’t it take up very a lot time to maintain your website so fascinating ? Great website. A lot of useful info here. I¡¦m sending it to several pals ans also sharing in delicious. And certainly, thanks to your sweat! I really demanded to help you considerably . I’m in no way a number of issues i may possibly currently have without the need of the type of methods provided through an individual relating to that will matter. It absolutely was previously the authentic awful disaster to me, nevertheless being aware of the actual quite specialized model a person resolved of which involved towards designed for enjoyment. Right now i’m more happy due to this along with hope you are alert regarding a fantastic process you’re carrying out educating plenty of people via ones own blog. particular you have do not ever got to understand everybody.